The yarn has fully dried. A couple of the hanks have been wound into center pull balls. Swatches have been knit! As the child is named Elizabeth, I have named the blue Dizzy Lizzy. This will be a hoodie for her. 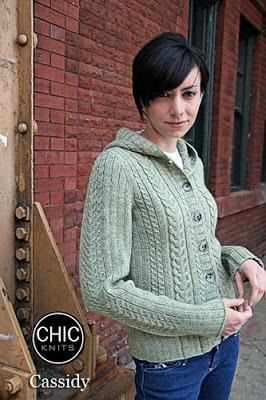 Cassidy has long been in my queue, I think the Goblin Green yarn will be a fun and funky color for it. Don't you?